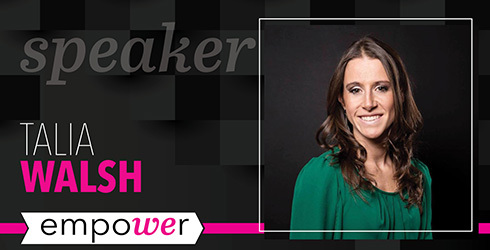 The Greater Scranton Chamber of Commerce has announced Talia Walsh as a speaker for this year’s Empower conference. As the owner of Quest Studio, Talia Walsh has made it her mission to help people achieve optimum levels of health via specialty fitness classes and yoga, wellness coaching, metabolic testing, custom nutrition programs and corrective exercise programs. She regularly hosts student empowerment workshops, as well as seminars focusing on preventative health care. A dedicated community volunteer, she works with injured veterans, and veteran organizations that support those in need, including The Sgt. Jan Argonish Ride, in honor of her late fiancé, who was killed in action in Afghanistan. An accomplished singer and violinist, she released her first studio album in late 2018. She holds both her Bachelor’s and Master’s degrees from Bloomsburg University.